Lucknow, the capital of Uttar Pradesh, lies in the middle of the Heritage Arc. This bustling city, famed for its Nawabi era finesse and amazing food, is a unique mix of the ancient and the modern. It is home to extraordinary monuments depicting a fascinating blend of ancient, colonial and oriental architecture." Lucknow was the epicentre of the 1857 War of Independence, and much before that, it was the seat of a line of nawabs who gave the city its unique identity. Literature, cuisine, performing arts and tehzeeb put Lucknow a cut above the rest – and the world acknowledges it. 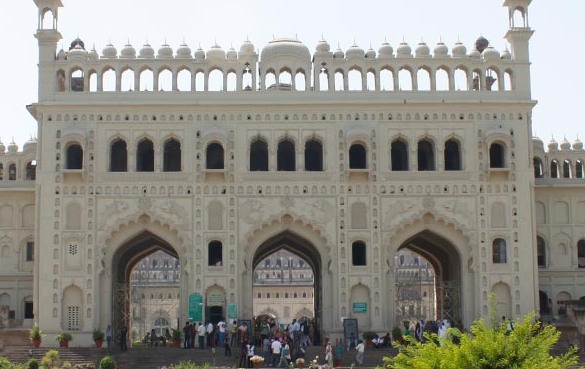 Among the magnificent monuments are Imambara, Rumi Darwaza, Kaiserbagh Heritage Zone, Residency and Dilkusha. Chikan embroidery and zardozi have made Lucknow a brand in global fashion. Kebabs and biryani are the two lip-smacking delicacies that beckon visitors again and again. Relax and enjoy the city’s new age facilities, and visit again.